Good news! The Large Hadron Collider (LHC)  the massive particle accelerator straddling the Swiss-French border  didn't destroy the world! The bad news: The contraption didn't really work either. In September, the 17-mile collider was switched on for the first time, putting to rest the febrile webchatter that the machine would create an artificial black hole capable of swallowing the planet or at least a sizeable piece of Europe  a bad day no matter what. 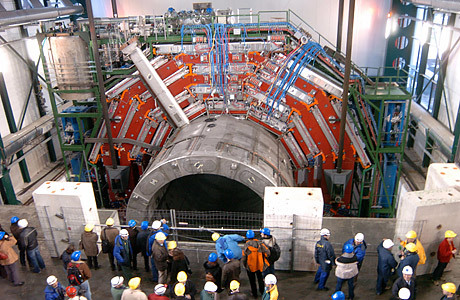 No lucid observer ever thought that would really happen, but what they did expect was that the LHC would operate as advertised, recreating conditions not seen since instants after the Big Bang and giving physicists a peek into those long-vanished moments. Things looked good at first, until a helium leak caused the collider to shut down after less than two weeks. Repairs are underway and the particles should begin spinning again sometime in June.